1. The Rising Above Band had a very meaningful time ministering to the inmates at the Stoney Mountain Penitentiary. There was very good turnout and the men were very receptive. The band members had some very good conversations with the inmates after the concert. 3. 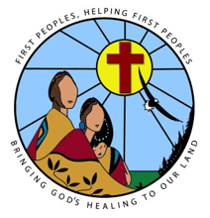 The faith circle in Parry Sound will resume again after many months without a leader. Prayer Priorities . . .
1. Mishkeegogamang Rising Above Conference (close to Pickle Lake, ON) May 1-4. The team consists of Selma & Dave Poulin, Howard Jolly, Rick & Linda Martin, Terry & Brenda Martin, Rosie Boskoyous, Amos & Verna Esh, Larry Wilson. Details of the conference can be found on our website. Pray for spiritual protection against any of the Enemy’s attacks against the team or the people who may want to attend. Pray for a move of God’s healing power. 2. A candidate for Executive Director has completed a second interview. Please pray for the candidate and the Board as they discern God’s direction. 3. Rosie Boskoyous (Niverville & Winnipeg, MB) will be teaching and counselling at a Healing the Pain of the Heart in Sioux Lookout, April 4-6. She continues to minister weekly to the Indigenous ladies at the Family Life Centre in Winnipeg. Pray for divine appointments with the people she comes in contact with. 4. Daren George (Smithers, BC) is leading the planning of a 2 day grief workshop April 5-6. He is also being called upon to plan a Healing the Pain of the Heart workshop in early May. Pray for strength and stamina for Daren and for healing in those who attend the workshops. 5. Johan & Kerrie Strydom (Parry Sound & Muskoka, ON). Pray for a new funding avenue for the Youth Leadership Development camp that he is planning for late August. A funding application was recently denied. Pray also for the re-start of the faith circle and for the leader who is undergoing some health issues. 6. Pray for Eric Kamenawatamin, board member, who lost a sister March 24 due to brain injury after a fall. Subscribe to our monthly Prayerlines.